Hey everybody! Today I have a color from a newish line from Essence to share with you. I was surprised to find this at Shoppers Drug Mart already, but there it was in the regular Essence Display. They’ve changed all the colors over to this new “The Gel” line. This is a “no light required” gel polish. I did not buy the special top or base coat. I just used my regular top and base coats. So onto the polish. Ugh! It was thick when I got it. I tried to do the mani anyway, thinning after the first coat with polish thinner (which did help a bit). But it was just too thick and became bubble city after my topcoat. Took it all off and tried again. I put on 1 very thin, streaky coat then a second thin not as streaky coat and a third thinish coat and finished with my topcoat. It turned out OK, but it was tough going for a little while! Turn The Lights On! is a minty tinged white. In some lights it looks blue tinged also. It has a pretty shimmer that comes out in the sun and just adds a glow to the nail indoors. I like the end result very much! My accent was an experiment with a few of the OPI Color Paints. I did a silver base (I used Zoya Trixie as I didn’t get the silver that came with the Color Paints) then put drops of 5 of the Color Paint colors. I had cut a small square out of a Zipoc bag and set that on top (squishing lightly) and removed it right away. Let it set a couple minutes and topcoated it. I got the inspiration to try this from someone on the MUA NB posting a link to this short video. 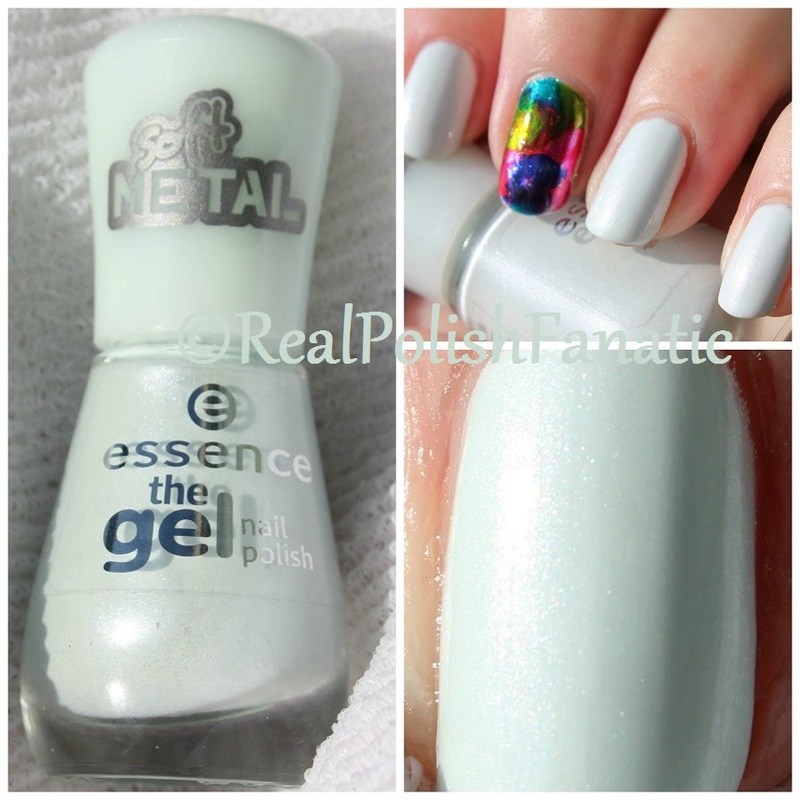 Essence “The Gel” – Turn The Lights On! Here is my finished mani. 3 coats of Essence Turn The Lights On! and topcoat. 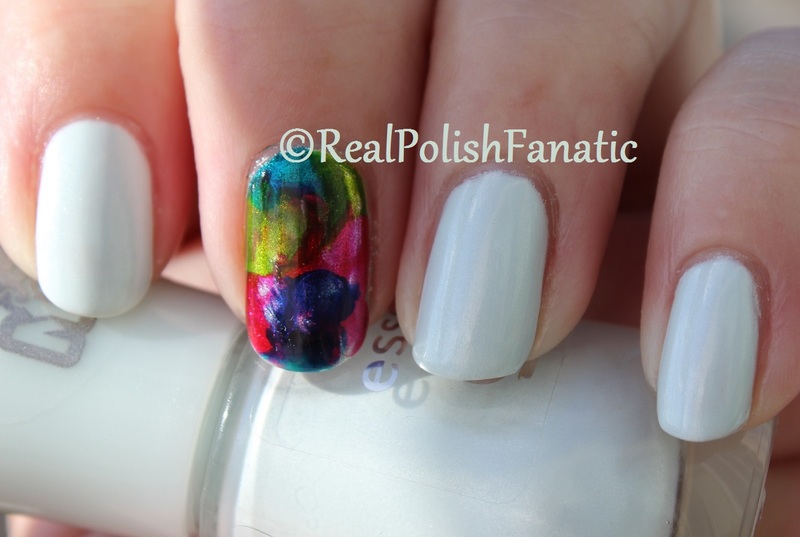 Previous Previous post: Sally Hansen Xtreme Wear Pep-Plum & Emily de Molly Did I Just Curse?